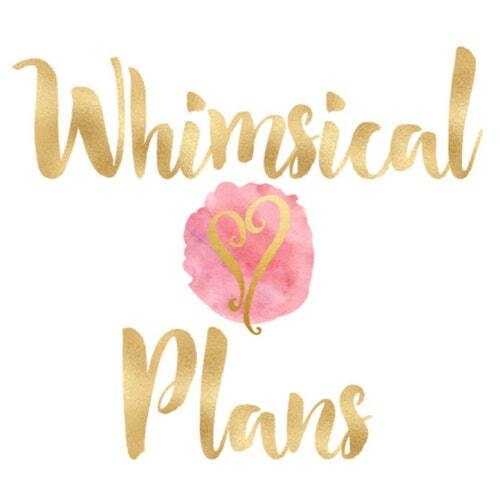 Evolution of a Foodie: Birchbox and Ipsy Glam Bag Reveal Day for July! Birchbox and Ipsy Glam Bag Reveal Day for July! 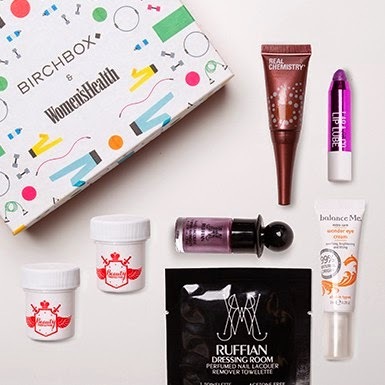 It's finally reveal day for Birchbox and Ipsy, usually Birchbox reveals on the 10th what you'll be getting in your box(es) if you're so inclined to spoil the surprise, but Ipsy changes the date almost always. This month Ipsy decided to reveal on the 11th. 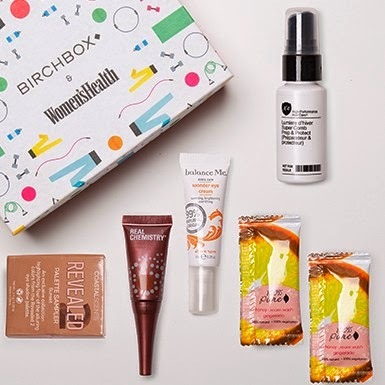 This month I opened my other two Birchbox accounts, and I'm getting some punishment boxes for sure! So unhappy that I missed out on the Harvey Prince Hello Body Lotion that I ordered some with my points. So at least I feel a little bit better about it. LAQA & Co. Sheer Lip Lube Pencil - ($12.50) I already have one of these, and while I like it, I'm hesitant to keep it as backup. I might trade it. Wish I would have gotten the coral color instead. Maybe that's what I can trade it for. RUFFIAN Nail Lacquer in Ambrosia - ($11) This was the polish I reserved for my box this month, so I'm glad to see it's going to be included since I've heard some didn't get it and had to contact Customer Service about the issue. RUFFIAN Dressing Room Nail Lacquer Remover Towelettes - ($1) I like these for travel, it will be nice to have an extra. Real Chemistry Luminous 3-Minute Peel - ($?) I hear people are wanting to sample this, so I'll give it a try I guess. Balance Me Wonder Eye Cream - ($?) I have so many eye creams, what's another? I'm sure eventually I'll try this. Can't say it makes me excited though. Beauty Protector Protect & Treat Hair Mask - ($?) I did want to try this product this month, so I'm glad I got this at least. Overall, this is probably my favorite box for this month, but still not a whole lot I really wanted. Number 4 Super Comb Prep & Protect - ($?) 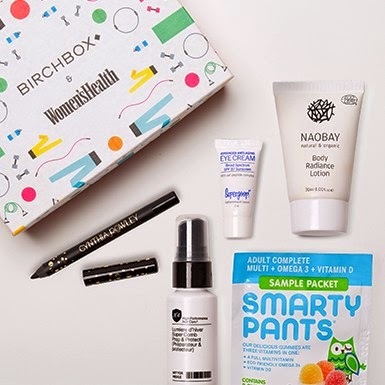 So many Number 4 products Birchbox! 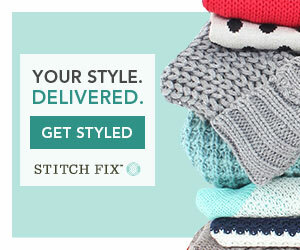 Lay off, I will probably never buy their stuff now. Supergoop! Advanced SPF 37 Anti-Aging Eye Cream - ($?) I have a few of these floating around the house, and it's not exciting. Cynthia Rowley Beauty Eyeliner in Black - ($8) Got this last month too, oh boy another black eyeliner to swap. Naobay Body Radiance Lotion - ($?) I hope this smells good, because I do love some lotion. SmartyPants All-in-One Gummy Vitamins for Adults - ($0.50) Tried these a few months back, and they're good I guess. Not really excited to get more. Overall, this is my least favorite box this month. I feel like the value is going to be really low on this one too. Number 4 Super Comb Prep & Protect - ($?) Dupe. Probably will be swapped. Real Chemistry Luminous 3-Minute Peel - ($?) Dupe. Probably will be swapped. Balance Me Wonder Eye Cream - ($?) Dupe. Probably will be swapped. Coastal Scents Revealed 2 Palette - ($2) Dupe, I got this last month and swapped it. 100% Pure Gingerade Shower Gel (Honey Cream Wash) - ($?) I wanted to try this, but I haven't heard the best of things about it. Hearing it's basically water in a ketchup packet. bareMinerals 5-in-1 BB Advanced Performance Cream Eyeshadow - ($5.50) I like cream eyeshadow, but I don't like that they're not as travel friendly as a palette. But I just hope this applies well. Elizabeth Mott Tints & Sass - ($23) This is probably the one item I'm least excited for, I have a sample of Benetint I haven't used yet, and tints just dry too fast for my liking. I might try it though because it is supposed to smell like cherries, and I love cherry scents. Pur-lisse pur-protect essential daily moisturizer SPF 30 - ($16) I'm glad to be getting this item, I like the regular moisturizer, and I never turn down something with SPF in it. Marrakesh Hair Care Endz - ($6) I have split ends up the wazoo, so I definitely want to try this and see if it makes a difference for my hair. Models Own Nail Polish in Red Sea - ($8.50) I looked up swatches of this polish and it's really pretty, I'm excited to try it! 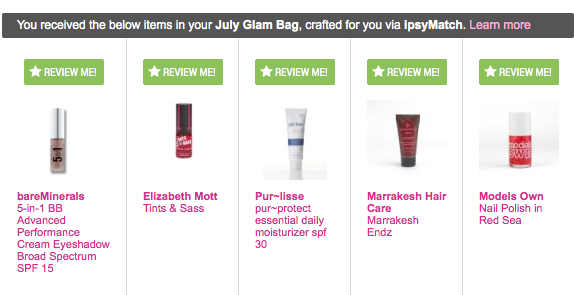 Overall, my Ipsy bag this month seems to be a hit! First time in months I'm excited to try most of it. I'm super jealous about the Model's Own nail polish you got in your ipsy bag. I like my bag but I was hoping for nail polish. I think I need to play with my settings again. Yeah I don't know what happened this month, actually a bag I like! I am so mad about the Hang 10 tanning oil. I gave up tanning 6 months ago worrying that I was aging my skin and risking cancer. I changed all of my settings in the hopes August will be better. 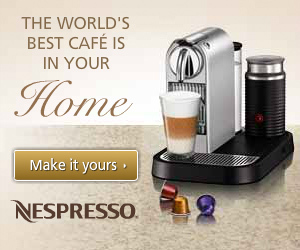 Ugh I know, they always seem to pick an item every month that most people hate. I wish they would quit that.